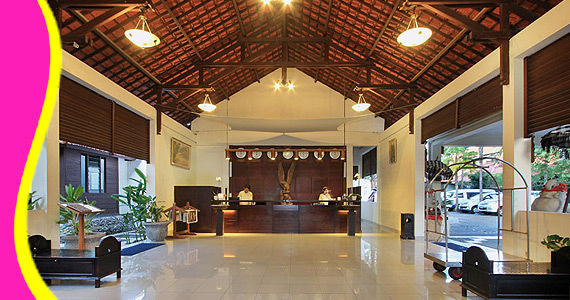 Guests staying at the Kuta Lagoon Resort & Pool Villa are surrounded by shops and restaurants and are only 10 minutes away from the famous Discovery Mall and Aromas Café at Legion Street. 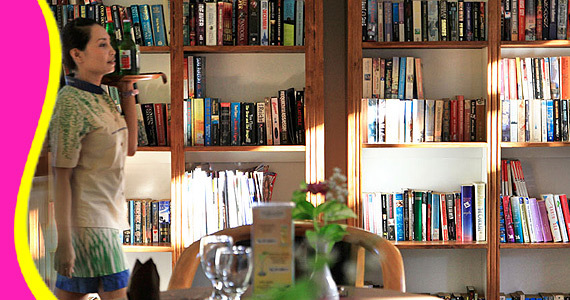 After a long day of sightseeing or relaxing by the beach, head back to the hotel and dine at the 24-hour Lagoon cafe. The hotel's spa is a great place to unwind and relax your mind, body, and soul as you are treated to Balinese massages and therapies. 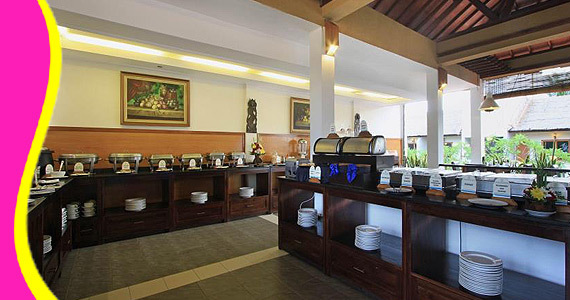 The on-site meeting room is ideal for corporate travelers who need a place to host functions. The meeting room can hold up to 90 people and is equipped with a standard sound system, white board, and slide projector. 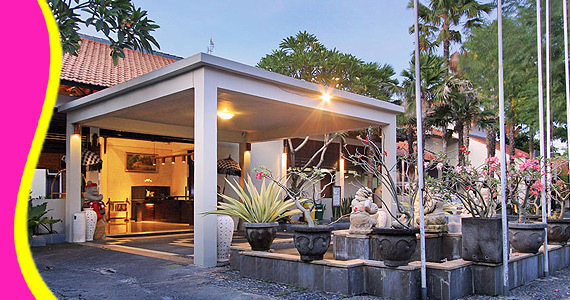 With a convenient location and numerous facilities, the Kuta Lagoon Resort & Pool Villa is an ideal base for leisure and business travelers alike. 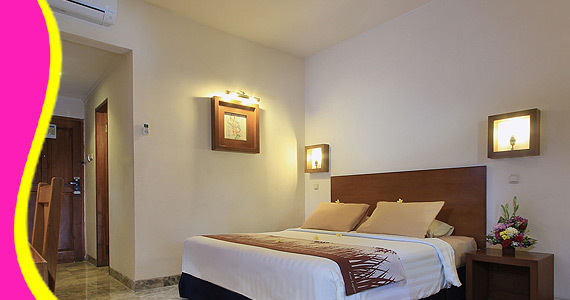 To make a booking at Kuta Lagoon Resort & Pool Villa, simply enter your travel dates on our secure booking form and submit. 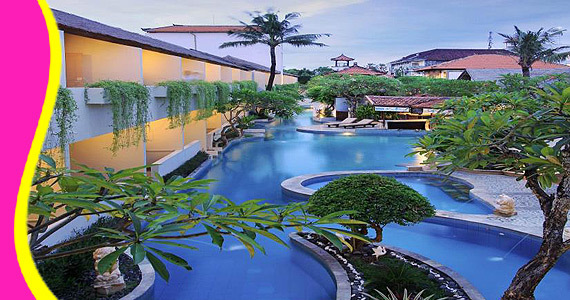 Kuta Lagoon Resort and Pool Villas could be just the place for you. 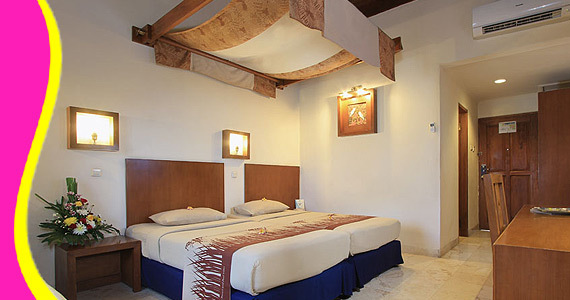 It consists of 64 rooms with the categories of Standard, Deluxe and Pool Access and has a accommodation Villas Consist of 5 Private Villas, 10 Private Pool Villas and 4 Private Villas with Sharing Pool. 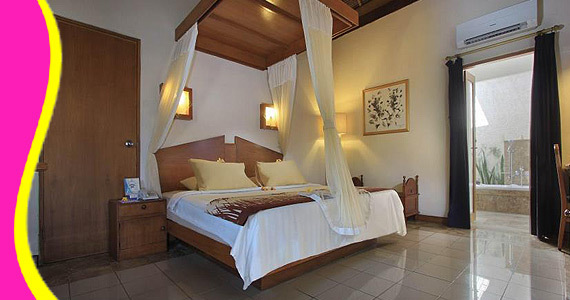 Contact us for Reservation or Booking of Kuta Lagoon Resort and Pool Villas , Legian : +6289666777488 (for further Kuta Lagoon Resort and Pool Villas, Hotel in Legian details & rate deals).